Attorney general githu muigai has cited the constitution and that Raila odinga faces imminent arrest if he goes on with his plan to swear himself as president. Here is part of the constitution the AG quited in the constitution. "Any attempt to establish a government otherwise than in the compliance with this constitution is unlawful," says Subsection 2. 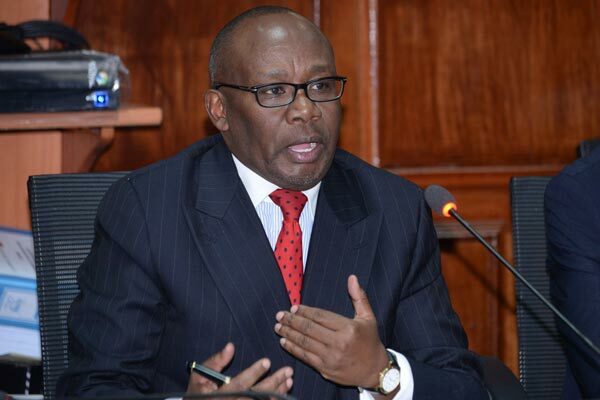 "The law as clear as day and night," Muigai said, adding that anyone violating it will be committing an offence. ", he was quoted by the star. On why Raila will be arrested githu muigai was quoted saying. "The Penal Code says anyone who tries to form a government contrary to the Constitution could face charges of sedition, undermining a legitimate government and treason, which is punishable by death." Raila odinga has continually disrespeced the constitution and has said he will use the section which says that sovereign power lies with the people.